Does ECT Conflict With Penal Substitutionary Atonement? Contemporary annihilationists have taken to arguing that the doctrine of Eternal Conscious Torment (i.e. the orthodox teaching on the nature of eschatological punishment) conflicts with the doctrine of penal substitutionary atonement. For if the punishment of the wicked consists in the infliction of torment, i.e. ongoing bodily and spiritual pain, then this implies that it would not be Christ’s death that serves as the atoning sacrifice for sinners but, rather, his suffering on the cross. They contend further that this obviously contradicts the clear teaching of Scripture that it is the death of Christ, the bodily death, of Christ that serves as the atoning sacrifice for sinners. Placing their focus on the word death, annihilationists fail to take into consideration that it is not death in abstracto that is in view in the passages they quote. Had Christ died from a stoning, his death would not be the atoning sacrifice for sinners. Had he died from being trampled by the masses of people who sought to make him king, his death would not be the atoning sacrifice for sinners. This would not be the case if it was merely the bodily death of Christ, i.e. the separation of body and soul. It cannot be the case, then, that Christ’s atoning sacrifice consisted only in his bodily death. Annihilationists will often underscore that the wages of sin is death, then point to several passages which specifically identify bodily death as the wages of sin. Problematically, this fails to account for the actual sentencing of death after the transgression of Adam and Eve, and the serpent. In Gen 2:16-17, God informs Adam that eating from the tree in the midst of the garden, the tree of the knowledge of good and evil, will result in Adam’s death. Traditionalists, for the most part, interpret the assertion “In the day that you eat of it, you will surely die” to mean that Adam spiritually died upon eating the forbidden fruit. Annihilationists largely interpret the assertion to mean that Adam’s eventual death would be made certain at the very moment he ate of the forbidden fruit. Yet given the text of Gen 3, the annihilationist’s reading cannot be sustained. For if it is merely bodily death that is the punishment for sin, then nothing else is in view in Gen 3. This, however, is precisely what Gen 3:14-19 contradicts. The Lord first questions Adam and Eve, then he metes out judgment to the three parties involved. The serpent will be cast to the ground, forced to eat dust, and eventually be crushed under the foot of the Messiah. The woman’s pain in childbirth will be multiplied, and though she desires to rule over her husband she will be ruled/domineered over by her husband. Lastly, the ground is cursed for Adam’s sake, bearing thorns and thistles instead of useful vegetation. His life will be a largely unfruitful, toilsome, and burdensome life right up until the point his body ceases to function and returns to dust. If the punishment for sin is merely the bodily death annihilationists have in mind, then this is all that God meant when he warned Adam in Gen 2:16-17, and the other punishments listed Gen 3:14-19 are an addition to the original promised punishment for sin. If God is adding punishments to mere bodily death in Gen 3:14-19, this would render his words in 2:16-17 false. Consequently, the death promised to sinners in Gen 2:16-17 has to be broader than the mere bodily death annihilationists have in mind. God did not add punishments to the promised punishment of death. Death is not merely bodily death, therefore, but the entirety of fallen man’s life, including his experience of death. This implies that death is a punishment and curse that man bears and experiences for the entirety of his life apart from the redemption purchased for the elect by the Son of God. Enoch and Elijah, the Other Sinless Men in Scripture? Thus all the days of Enoch were 365 years. Enoch walked with God, and he was not, for God took him. The belief that it is bodily death alone which is promised to transgressors results in the heretical conclusion that there were men other than (prelapsarian) Adam and Christ Jesus who began their lives free from any taint of original sin. It also leads to the heretical conclusion that there are men, other than the sinless Lamb of God, who lived their lives without committing actual sin. Either bodily death alone is the promised punishment for sin in Gen 2-3 & Rom 6:23, Enoch and Elijah were born sinless and lived sinless lives, and the Scriptures are in error when they declare that all have sinned and fall short of the glory of God - or the death promised to sinners in Gen 2-3 and Rom 6:23 is much broader in its scope, including, but not being limited to, bodily death. That death is much broader in its scope than what annihilationists have in mind has been demonstrated above. 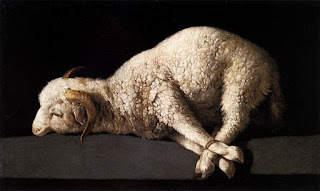 As we look at the atoning sacrifice of Christ for sinners, as articulated in Isaiah 53, this truth is further elaborated upon, even more clearly demonstrating that the atoning sacrifice of Christ is his death, and that death is to be understood in a much broader sense than merely bodily death. The Holy Spirit clearly identifies Christ’s pouring out of his soul unto death as part and parcel of the penal substitutionary work of the Messiah. Likewise, God reveals that part of Christ’s suffering unto death for his people consisted in his being “despised and rejected” as “a man of sorrows and acquainted with grief…one from whom men hide their faces.” The penal substitutionary atonement of Christ is said to consist of these experiences that the Lord God had prior to, during, and up to the point he gave up the ghost. Christ’s death for sinners is the totality of his bearing our transgressions, finalizing in the separation of his body and soul. Returning to Gen 3, we see that the suffering promised to Adam for his sin, as well as the suffering promised to Eve for her sin, is not an extra punishment added to the merely bodily death that man would experience. These punishments are the death promised to sinners, the last of these being the point at which the soul and body are separated, the finalization of man’s death-life-experience, if you will. This is why the Messiah’s atoning work is contained in his being a man of sorrows acquainted with grief, and experiencing being the object of God’s furious wrath. What does this accursedness consist of? We have already mentioned it in brief above, viz. the living-death-experience of all fallen men. Sickness, sorrow, pain, suffering, hunger pangs, futile toiling, interpersonal conflicts, and the antagonistic disposition toward humans of all animals and other aspects of the non-human creation. This is reiterated, in a covenantal context, in God’s promised curses toward all Israelite covenant breakers. In Deuteronomy 28:15-68, the Lord enumerates a list of curses facing those who break his law. To be sure, the death of the body is included in this list, but there is more. The curses include futile toiling, human reproductive fruitlessness, animal reproductive fruitlessness, agricultural fruitlessness,confusion and frustration in all that the Israelites sought to perform, pestilence, disease and fever and inflammation and fiery heat and drought and blight and mildew. Additionally, the skies will also not yield rain needed for the production of crops. God also declares that their accursedness will in part consist of their being defeated by their enemies and made an object of shame and scorn, being afflicted with unhealable boils and tumors and scabs and itch. What is more, they will be struck with madness and blindness and confusion of mind, and they will be continually robbed and oppressed with no one to deliver them. The Lord further adds that their wives will be raped, their houses will be taken from them - and the list goes on. …the reproaches of those who reproach you have fallen on me. The curse that Christ bore, his work of substitution is partly comprised of the sufferings he experienced and not merely the death of the body. The death of the body, rather, is where the work of redemption reaches its climax, its pinnacle. Thus, Jesus declares “It is finished” just prior to giving up his spirit into the hands of God the Father. The doctrine of penal substitutionary atonement states that Christ suffered in full the wrath of God due to elect sinners. The suffering Christ experienced was itself death as promised to Adam and Eve, all of their posterity, and re-articulated in the curses promised to Israel if she broke covenant with Yahweh. It was completed in the death of the body, when the Son of God gave his spirit into the hands of God the Father, and his body was laid in the tomb. This in no way conflicts with the doctrine of Eternal Conscious Torment, for the doctrine of penal substitutionary atonement summarizes the entirety of Christ’s passion and substitutionary work in the phrase “Christ died for sinners.” The reality of the situation is that Christ’s suffering, according to the Scriptures, is part of the work of substitution. It is the death of Christ for sinners. It is the place where the Son of God is made the object of God’s wrath, cut off from God’s beneficence, overcome with the sorrow and pain of being crushed by the Father. And it is finalized in the separation of Christ’s soul and body. It is only by artificially limiting the meaning of death to the death of the body, i.e. the separation of body and soul, that the annihilationist can claim that the doctrines of penal substitutionary atonement and ECT conflict with each other. In fact, the situation is actually reversed, for the initial judgment of death in Gen 2-3 is not merely the death of the body but a complex of curses that terminate in the separation of body and soul. Moreover, Isa 53 tells us very clearly that Christ’s suffering, even his being led away to the slaughter like a lamb was part and parcel of the substitutionary work he completed on the cross for his people. If this fact is ignored or, what is worse yet, denied, the Scripture is rendered incoherent and self-contradictory. Ergo, if annihilationists are correct in asserting that Christ’s suffering itself is not part and parcel of the substitutionary death he underwent for his people, then they imply that the Scriptures are not the Word of God. There are other implications that we will look at another time, but time and space require us to end on this note. I am following the language of James 2:26 here. Ps 69:9; cf. Rom 15:3.